New Books and New Munchkin! Finally pulled the trigger on a couple books, ordered another while doing so, and picked up a new game set over the weekend! I’ve been somewhat looking for Meltzer‘s newer book The President’s Shadow since last year sometime…and a much increased interest since finishing the previous book–The Fifth Assassin–earlier this year. 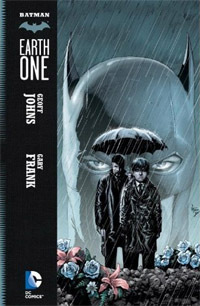 I’ve been holding off on the second volume of Batman Earth One due to its price and being such a relatively skinny volume for its price compared to other books. 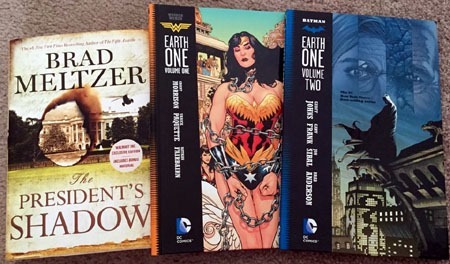 And I’d already been considering the Wonder Woman Earth One book, and was totally “sold” on it the other day reading Jess’ coverage at her blog, Holy Comics, Batman!. Now the challenge is on for when I’ll get the comics read, as I’m presently tearing through a new Tim Lebbon Predator novel. 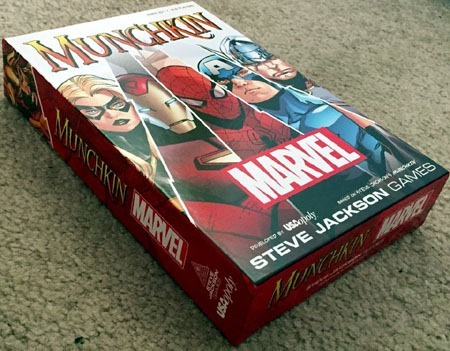 An old college buddy alerted me to the existence of Marvel Munchkin the other day as well, and after stewing on it for a bit, I decided I very definitely wanted to pick this up. (All the more as it is due to have two expansions itself this year, so I didn’t want to get “behind” on it, and it’s a game I anticipate being able to play with friends more frequently than most games I’d seek out). 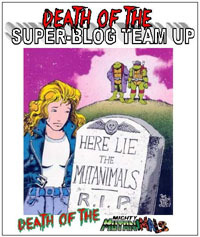 I’m not thrilled at–yet again–the lack of X-Men stuff, but rather than be nitpicky with this particular product on that front, I choose to look at this as supporting the Munchkin brand more than a mutant-less Marvel.